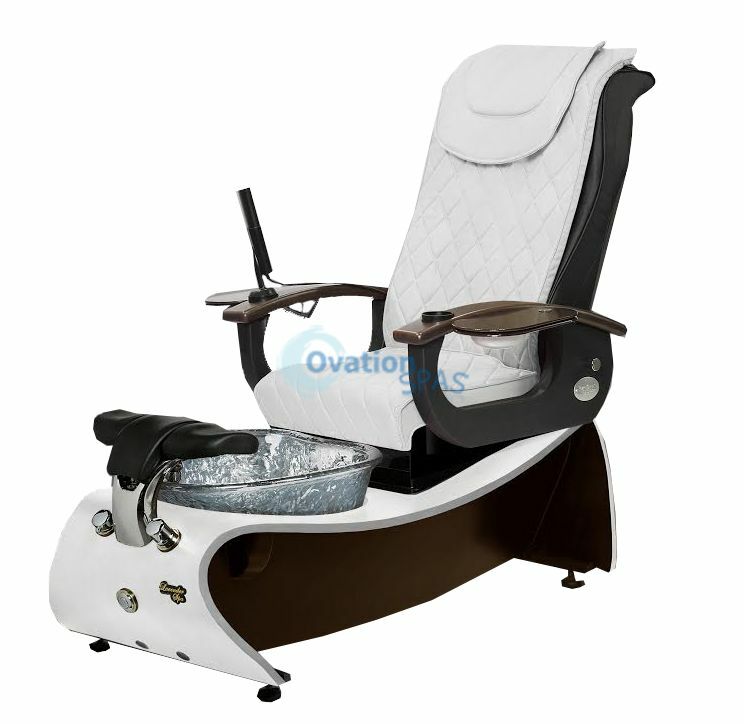 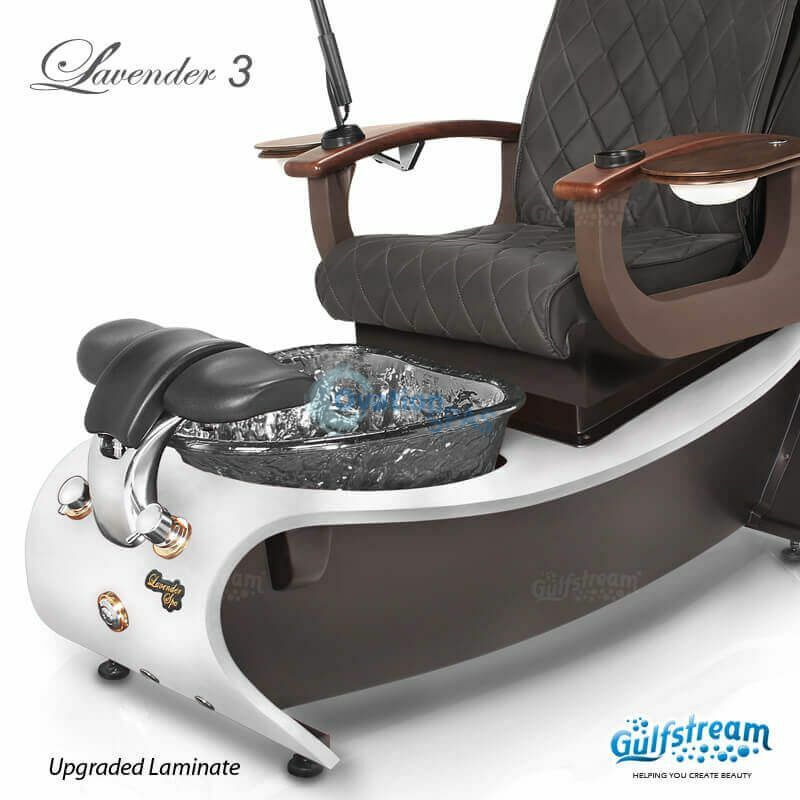 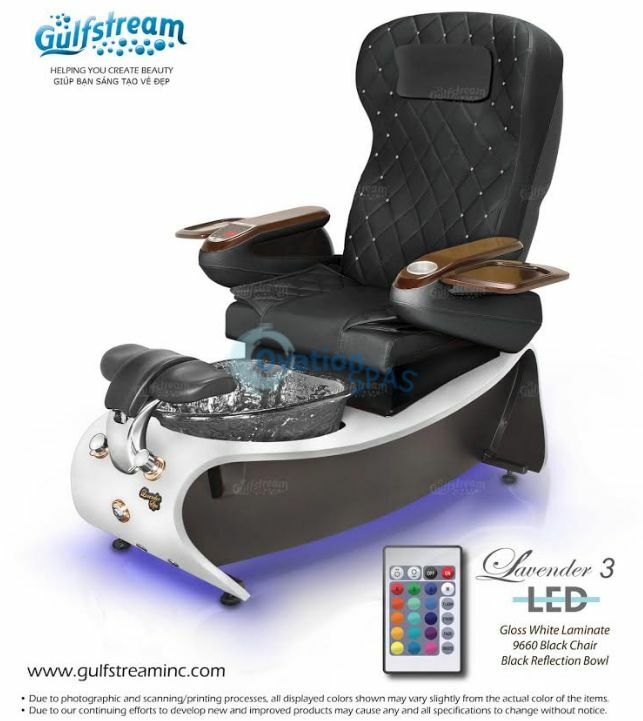 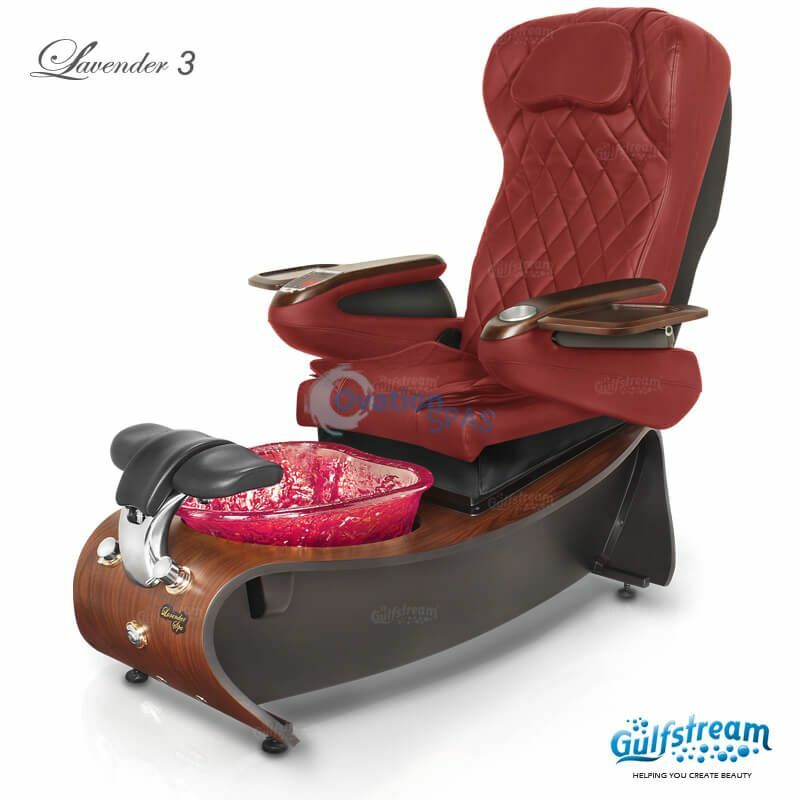 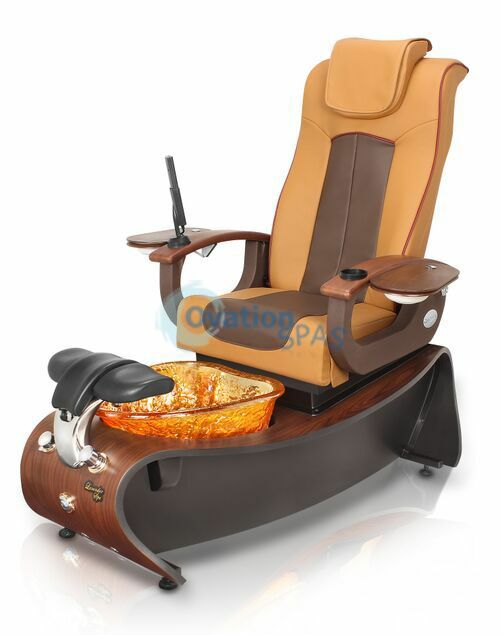 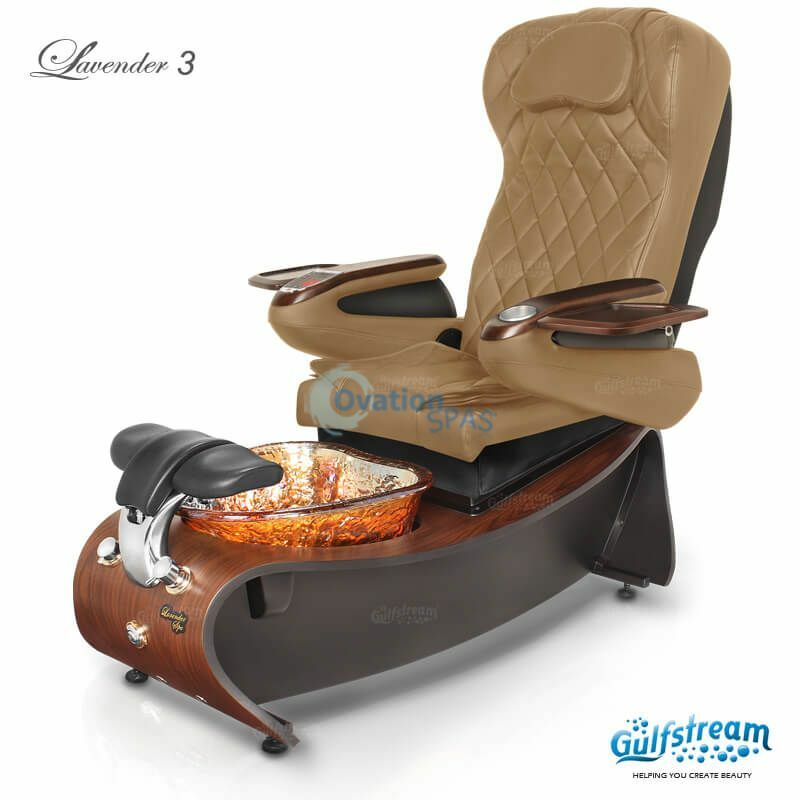 Free Shipping - Lavender® 3 pedicure spa offers new exhaust vent for pedicure chair is required and recirculation is prohibited except that recirculation shall be permitted where the resulting supply airstream consists of not more than 10 percent air recirculated from these spaces. 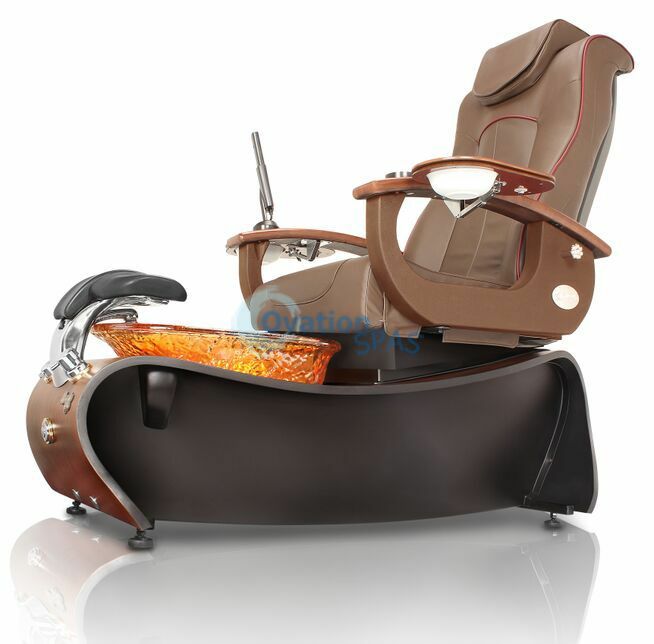 *3/4 bend plywood spa base with Dark Cherry laminate *New Shiatsu Massage Chair, one of the best in the industry *New luxury diamond pattern material *Built in, foldable tray and manicure bowl *New, UL Approved CleanJet MAX; compatible with poly liners *The new "Hard Rock" glass bowl, easy to clean, resistant to stains, scratches and thermal shock. 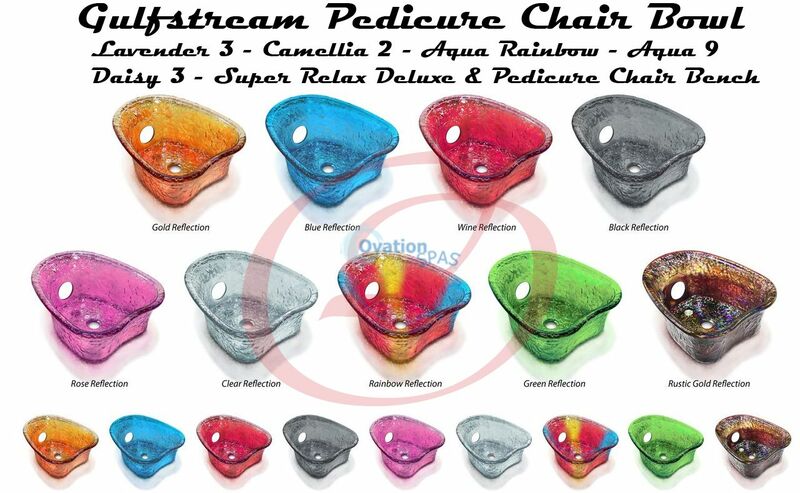 Plastic Liner - Liner that is disposable after each customer use inside the tub. 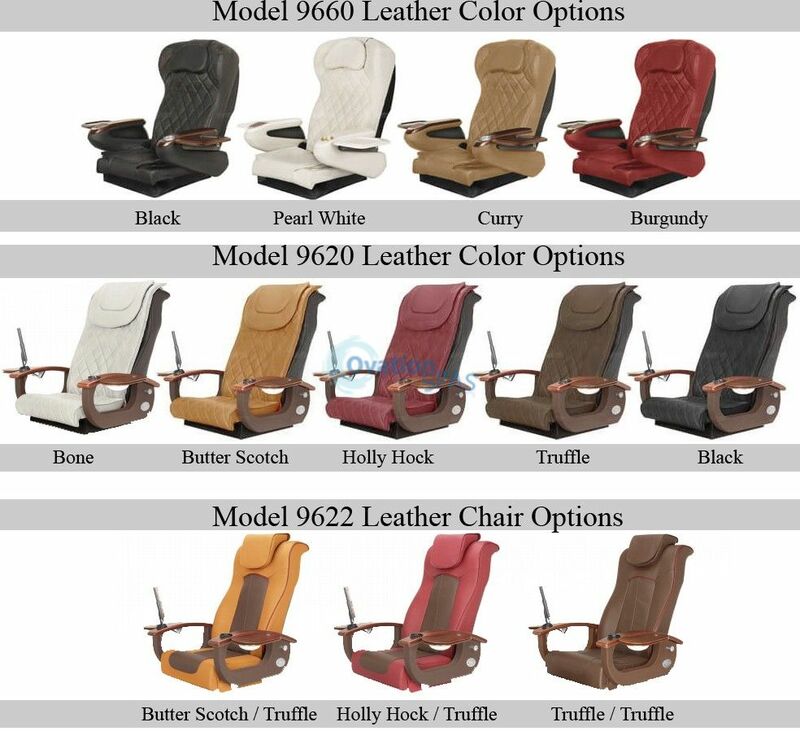 $125 for 100 liners. 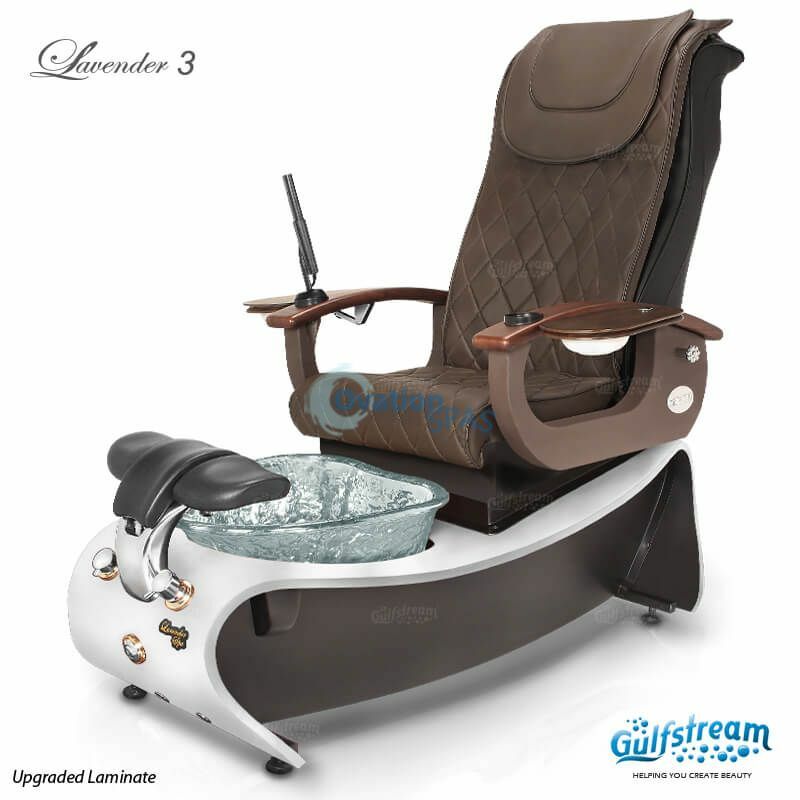 Tub Capacity - 4.5 US gal. 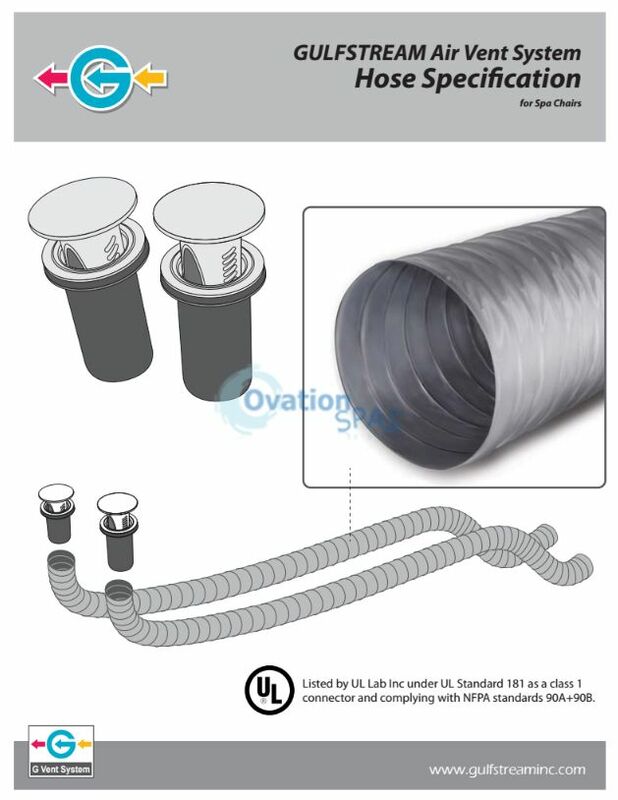 Water Source - 1/2” pipe thread fitting hot and cold. Must meet local plumbing codes. 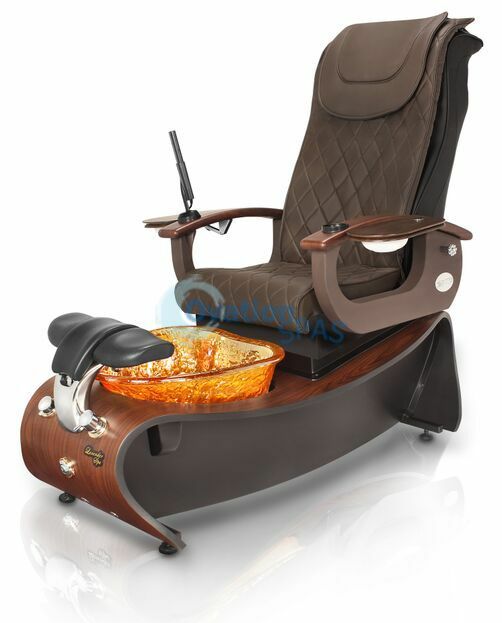 Normal water pressure of 30 - 120 PSI required. 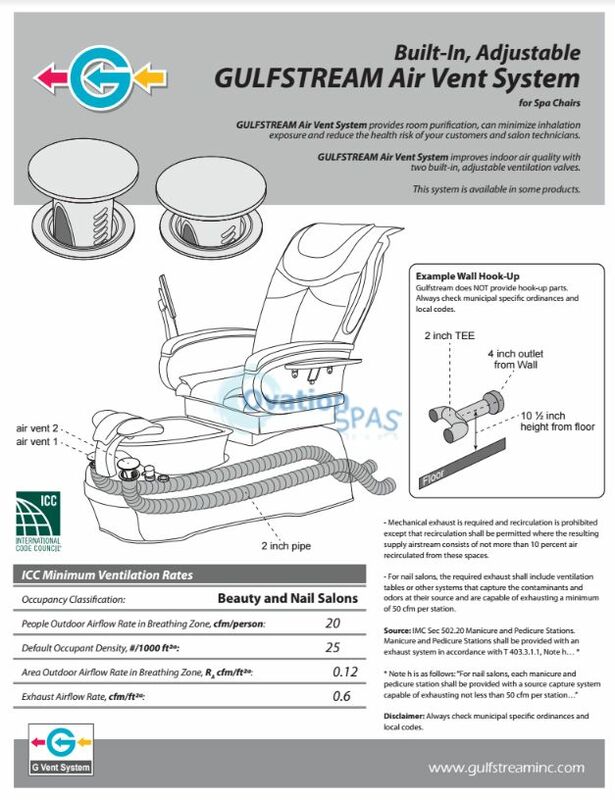 Certifications – CSA approved & UL listed. 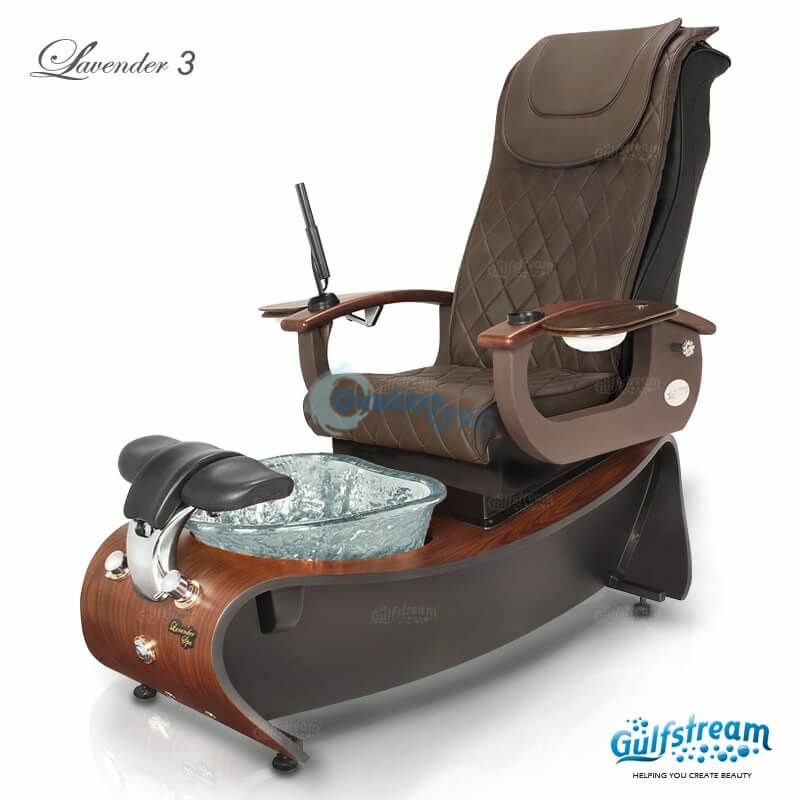 Gulfstream's Lavender holds the following certifications: UL (file #E218645); LA Approval (M-090072); IAPMO certification, which is certified to CSA standards; and the shower head is UPC approved.